NEW YORK CITY, NEW YORK -- Jieem Bullock wasn't quite sure how to respond. 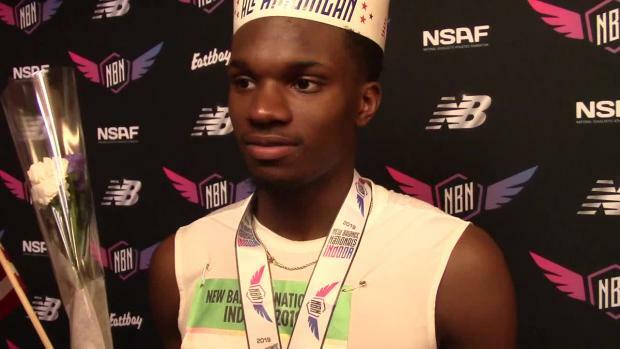 When the Leland North Brunswick (NC) High School junior stepped to his mark in the first of three sections in the championship round of the boys long jump on Saturday at New Balance Nationals Indoor, he wasn't thinking about winning. At all. 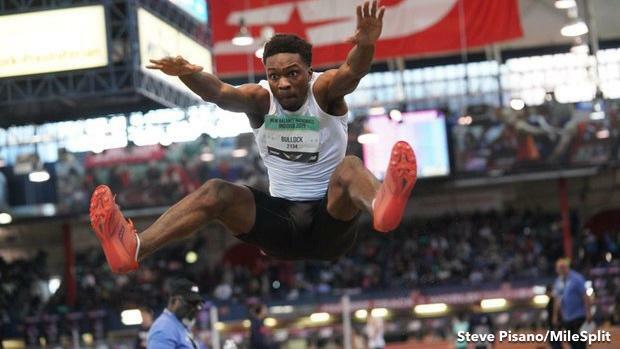 He was the last one up in his group, the 14th athlete to make an attempt, and instead wanted to focus on what he could control: His first jump. Last year he was fifth in the Emerging Elite section. Still, he thought ... Put it out there. And then it happened. Like a canon off the board. Magic in a single moment. "I was in disbelief," said Bullock, who immediately was confused of his official mark. "I was just, and then I thought about it. I just really jumped 24?" Bullock indeed did, hitting a US No. 4 mark of 24 feet, 4.25 inches to set an unbeatable precedent. He came back to earth on his next two attempts, marking 22-3 and 22-9.75. Then he watched as two more sections put down attempts. No other athlete reached 24-feet, and no one would achieve that feat in the finals, either. Bullock actually marked 23-feet in his first attempt in the finals, which on its own would have stood as a huge PR to end his season. When it was all said and done, Bullock had claimed his first national title. "I don't know," he said. "I was just running and jumping and that's what happened. I didn't know it was a big jump. I thought it was a normal jump. I thought it was a normal 22. I was in a slump. I just broke my PR." 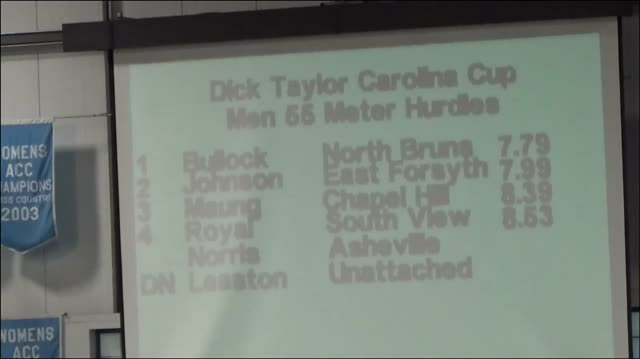 Previous to Saturday, Bullock's best in the long jump was 22-9 at the North Carolina Indoor State Championships, where he finished third. 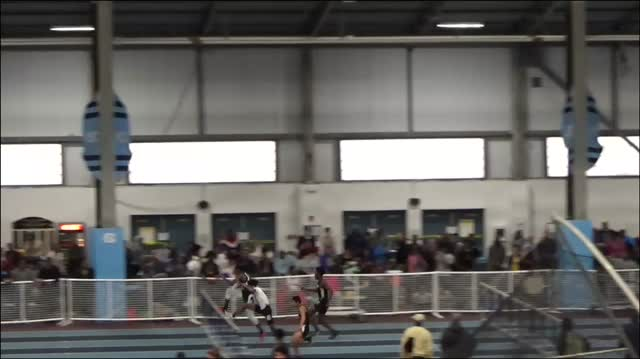 But there's something to be said about solving a complex equation like the long jump, even if it was just one attempt. Here's what he did differently on Saturday. He said he added pop-ups--other athletes were doing them in their run throughs, so he added them, too. Maybe that's what did it. "I think it did (make a difference)," he said. 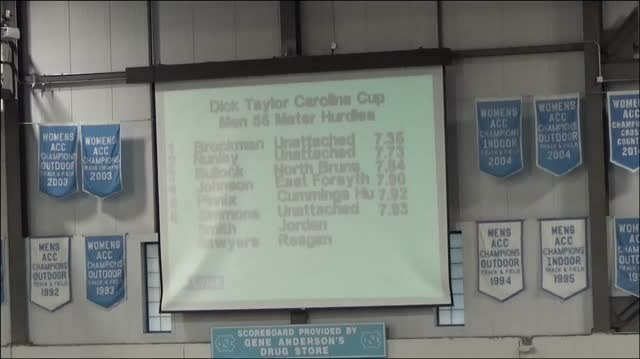 Bullock first picked up track and field in the seventh grade. He currently also plays football, but today's effort may point him in the direction of exclusivity. He's coached by Kenny Gilliard and Daryl Dyson, who both said Bullock's "speed on the runway" is what sets him apart. It may have led to that record attempt. But his career history also shows a strong ability to crossover. 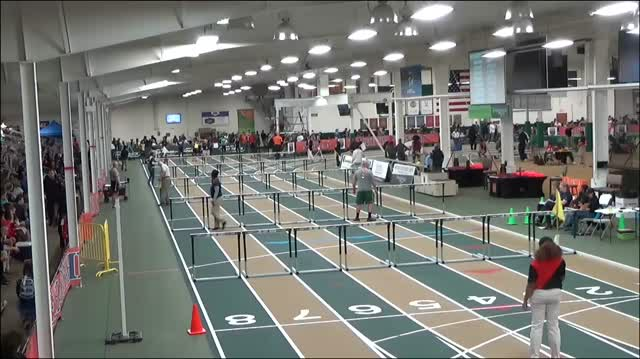 Bullock is a hurdler, too. He's a sprinter. He's even high jumped. 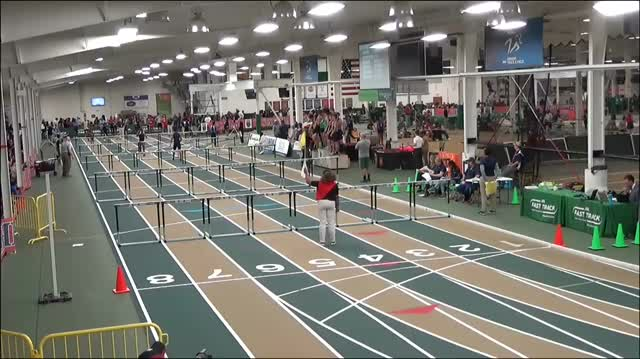 He's run 7.45 in the 55m, 37.04 in the 400m, 7.70 in the 55mH and has marked 6-2 in the HJ. Dyson and Gilliard say they ultimately want to make him a multis athlete. After receiving his national champion medal and paper crown, Bullock walked to the interview room, where he was surrounded by four eager journalists. It was just the third time in his life he had been interviewed, so the moment, in some ways, was even more nerve wracking than the competition. But Bullock was wise in the aftermath of his record attempt. "It just tells me I have it in me," he said. "I probably have a bigger jump in me. I just have to keep working." And perhaps now he'll think about winning more, too.